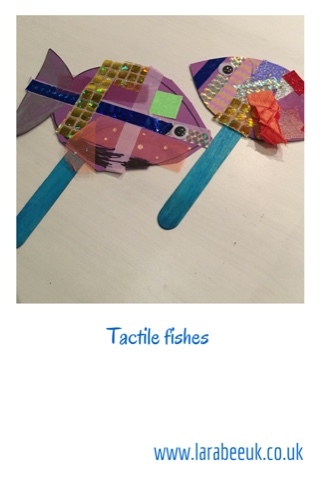 Inspired by the Springboard Supplies Tactile dragons we made for Chinese New Year I decided to make these tactile fishes with T. Because they are on sticks they also make great puppets, we spent quite a time after making them, just playing puppets and T really enjoyed it. 1. 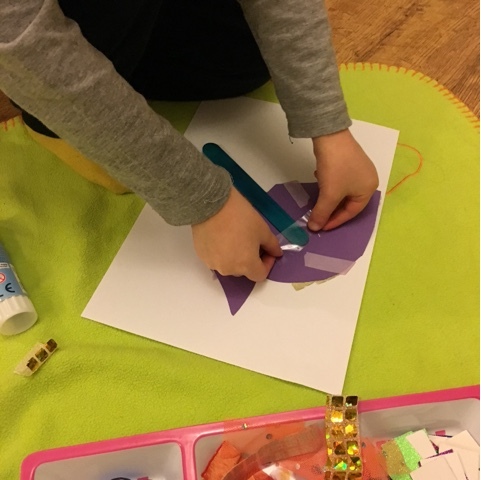 First we drew fish shapes and cut them out. 2. 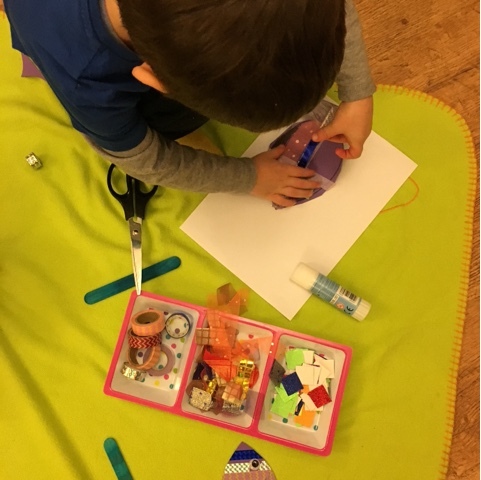 Then we stuck on our collage items, Washi and T did some colouring too. We added fins with longer bits of material. 3. When we had finished decorating, we attached the lolly sticks to the back using tape. And that's it! 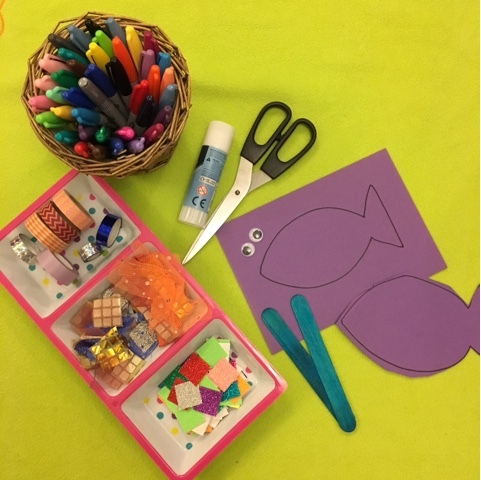 A really simple craft for little hands. 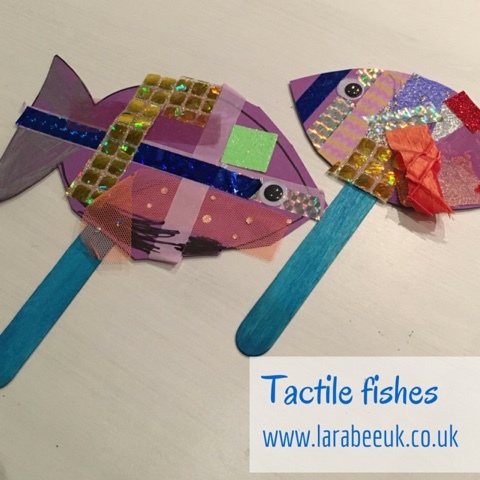 These are fab crafts Lara! Such a fun idea and they look amazing.